Gibbston Valley Wines is located in the southernmost wine-producing region in the world, and is home to New Zealand's Largest Wine Cave. The cave has been blasted 80 meters into solid schist of the Central Otago mountains, which provides a perfect backdrop for the vineyard. You start off the Wine Cave Tour in their vineyard, which gives you the opportunity to learn more about the history of the region and winemaking journey. The tour then takes you to the entrance of the cave. 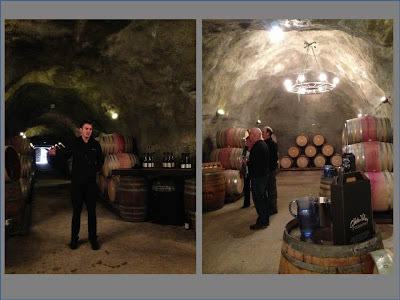 This underground cave is an ideal natural environment to mature award-winning wine . . .
. . . and is a perfect setting to enjoy tastings of Gibbston Valley's three current release wines. 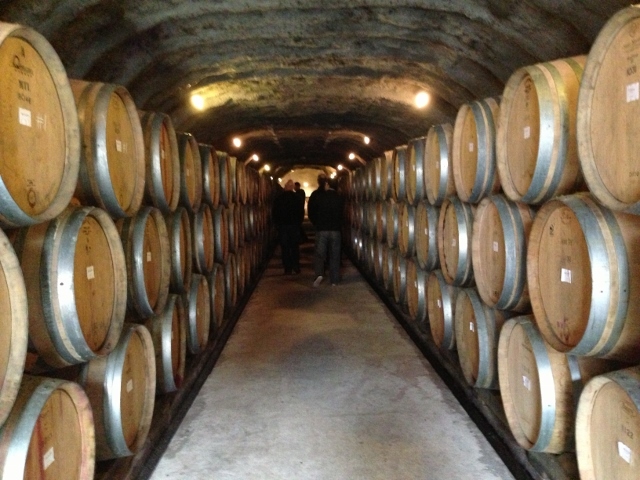 As you enter the Wine Cave, the smell of the fermenting Wine is amazing; a very rich, aromatic smell. 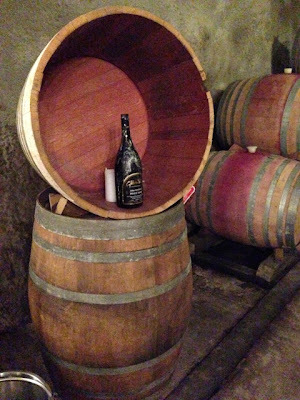 The Oak Barrels also give off a rich Wood smell which reminds you of a flickering Fireplace filled with fragant Logs and Pine Cones. In summary, it smelt amazing in the cave. Wine tasting in a cave . . . can't get any better than this! After the tour, don't forget that there is a Gift Shop, and Winery Restaurant on site too where you can pair their food and wine for a chill out meal. The food is very good and the waiters are as knowledgeable as ever about their products. 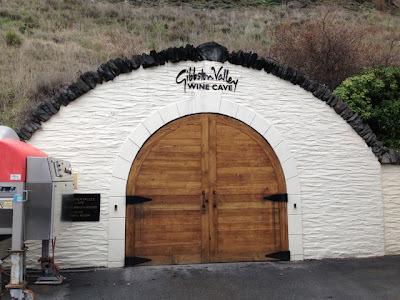 Gibbston Valley Wines is located 20 minutes from Queenstown, on State Highway 6. For more information, check out their website.